Eyeglasses come with a range of coatings catering to an individual’s lifestyle. Every coating has several uses and benefits ranging from fatigue free eyes to ease of computer use to uninterrupted vision when driving or when practising a sport. The right coating can make all the difference and offers the perfect solution to weary eyes – no matter the circumstance. You might have already heard of this coating already, if you spend long hours on a computer, but its uses and benefits stretch far and wide. Anti-reflective coatings essentially eliminate reflections (as the name itself suggests) from the front as well as back surface of the eyeglass lens. This allows your eyes to focus on reading or driving or your device screen, minus the eye strain caused by distracting glares and reflections. 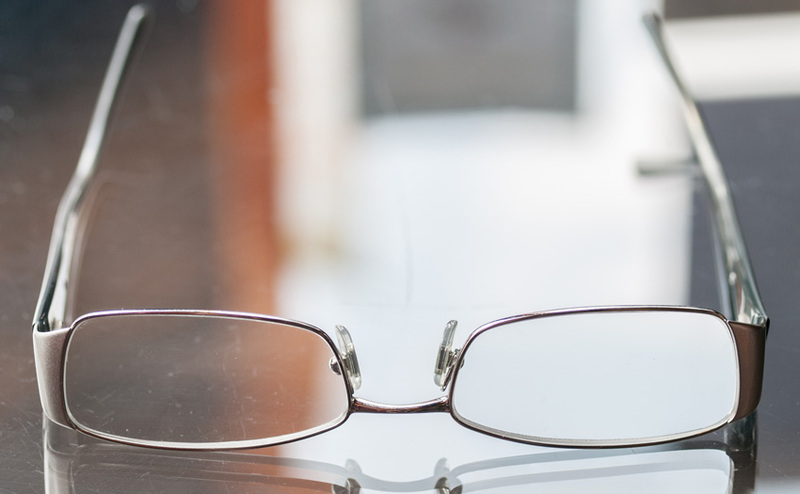 Another thing most optician won’t tell you is that anti-reflective and anti-glare coating are the same thing, also no coating can completely eliminate glare, reflections or chances of scratches to the lens. AR coating (as it is also known as) comes highly recommended for all eyeglass users but especially those using polycarbonate and high index lenses as these reflect much more light than ordinary lenses. The coating also makes the wearer’s lens nearly invisible to an onlooker thanks to the absence of reflections. The anti-reflective coating is best for aspheric lenses which have much flatter curves than a regular lens therefore creating harsher reflections. 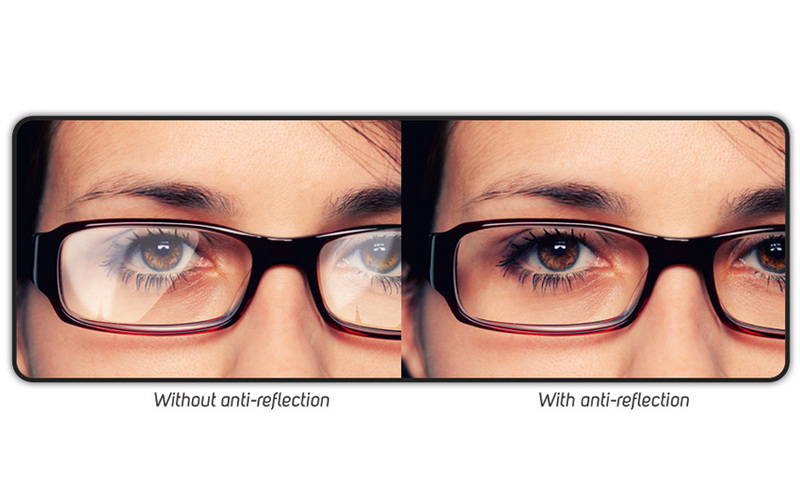 For ultimate comfort in all lighting conditions, anti-reflective coating is advised for photochromic lenses. The AR coating improves the light transmission through the lenses thereby helping reduce glare in bright sunlit conditions while improving your night driving vision. Last but not to be forgotten, it is also necessary in sunglasses as anti-reflective coatings help prevent bounce-back reflections. Blue light reduction a marketing gimmick? Different manufacturer/companies have different marketing names for the same thing e.g. the “blue light reduction” lenses is just another Anti-Glare coating.These lenses have not been proved to ease eye strain or to reduce the glare from computer screens. In fact under perfect lab conditions, tested blue light lenses barely provide a 10% reduction in blue light emission. Just so you know, this is just the limit needed to get by regulators and pass off the product onto an unsuspecting public. A scratch resistant coating creates a hardened surface that is highly resistant to scratches. No eyeglasses can really remain scratch free entirely however a scratch resistant coating can minimize the scratches caused by accidental falls or from minor mishaps. The hardened coating also reduces the impact of scratches caused by accidental falls. As you can imagine, a scratch resistant coating is especially useful for kids eyewear. Keep in mind while scratch resistant coatings can make your eyeglasses more durable they cannot protect the lenses from wear and tear due to age or rough use. Mineral glasses lenses are most scratch resistant, while Polycarbonate lenses get more easily scratched than other lenses. 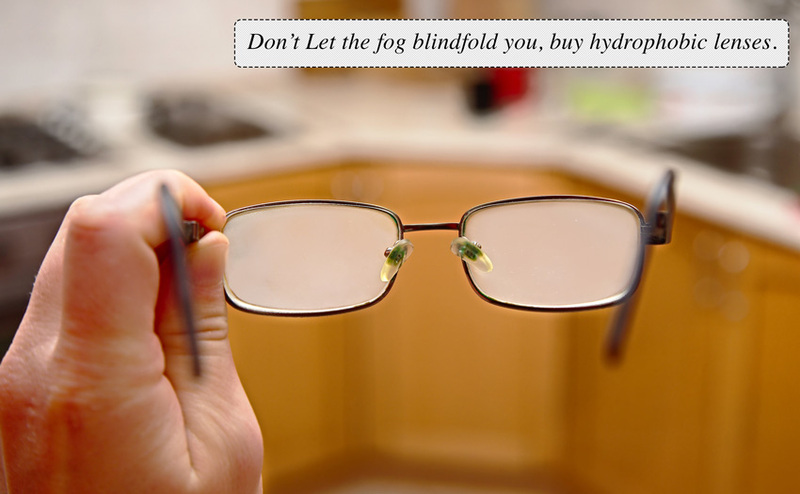 The anti-fog or hydrophobic coating prevents condensation of water on the eyeglass lens. Lenses tend to fog up when moving from a cooler environment to a warmer one. This can potentially put someone driving or those in an emergency situation (the police or emergency personnel) in a hazardous situation due to their vision constraints. Since lenses can even fog up when involved in sport or any other outdoor activity. Lens fogging is typically caused by tiny water droplets (condensation) that develop over the surface of the lens when it is significantly cooler than the surrounding temperature. The anti-fog treatment can be applied to virtually any lens whether plastic, polycarbonate or photochromic for clear vision under any clime. Even if you pour water over the lenses, it would slide off without leaving any mark, Which keeps the lens smudge and dust free. The ultraviolet treatment or coating blocks harmful UV rays just as we use sunscreen to protect our skin from the damage caused by the sun. 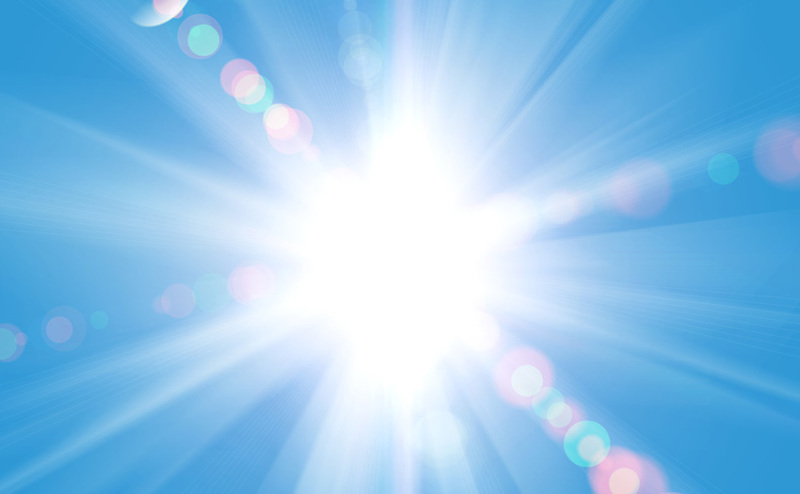 In fact, overexposure to ultraviolet light is thought to be the cause of retinal damage, certain eye conditions and cataract as well. Regular plastic eyeglasses do block most of the UV rays however for 100% protection, a UV blocking layering hits the spot. All lenses from COCO LENI come with UV protection for superior quality of vision. Therefore an additional UV coating isn’t required in these cases.